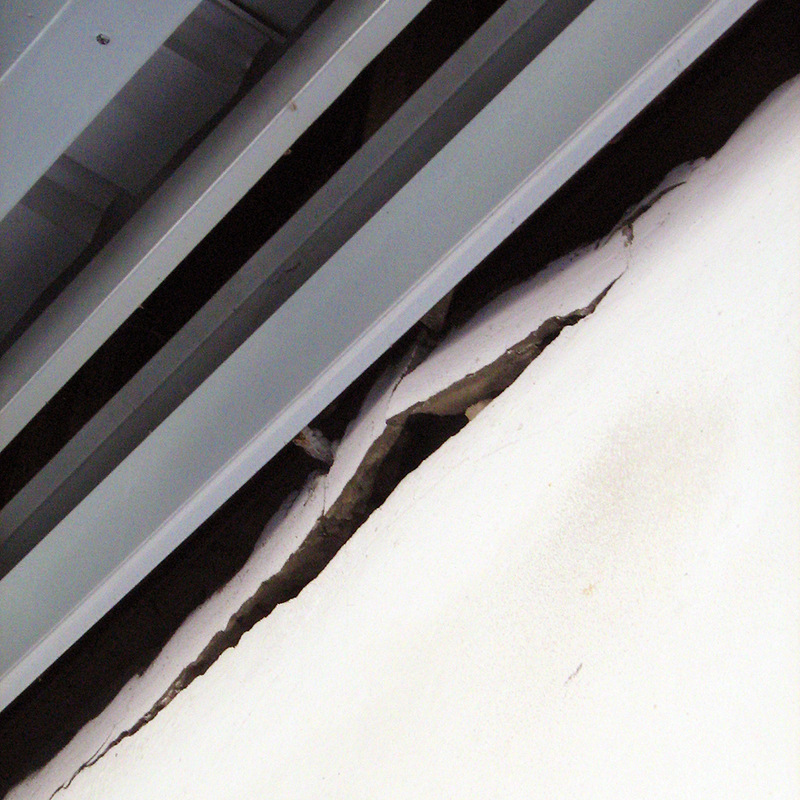 Structural settlement and wall cracks at a core Shell Company facility in Thailand, required extensive crack-monitoring forensics. To assess the risks, Shell tapped Total Assets Management and Consultant Co, Ltd (TAMCO—Nonthaburi, Thailand) to provide structural-forensic consulting services. TAMCO cost-effectively deployed multiple Buildera CRACKMON® 2D Crack Monitors to track crack progression over time, and provide informed engineering recommendations to Shell. The Buildera CRACKMON® 2D is an all-weather acrylic crack gauge that measures differential offsets along X and Y axes. At Shell Company Thailand headquarters in Bangkok, company personnel observed numerous cracks on inside and outside walls of the core shed building, leading TAMCO to a structural forensics investigation. To mitigate further damage while ensuring worker safety, the program objective included a comprehensive structural assessment to determine the rate and extent of foundation settling. The scope of work included visual inspection, building plan assessments, structural evaluations, and long-term crack-behavior monitoring. TAMCO General Manager, Tusanee Tondee, Ph.D., oversees engineering projects and daily operations, spearheading technology selection for field measurements. With her doctorate in Environmental Technology from the King Mongkut's University of Technology Thonburi (KMUTT), Tusanee is also a distinguished lecturer at the Rattanakosin College for Sustainable Energy and Environment. Upon conducting online research and technical-fit assessment, Tusanee chose Buildera CRACKMON® 2D Crack Monitors for the Shell project due to their ease of use, functional design, and cost-effective price point. In October 2008, TAMCO mounted Buildera CRACKMON® crack monitors on three wall locations using Abatron® Aboweld 8101-5 structural epoxy adhesive, supplied with turnkey CRACKMON® contractor kits. 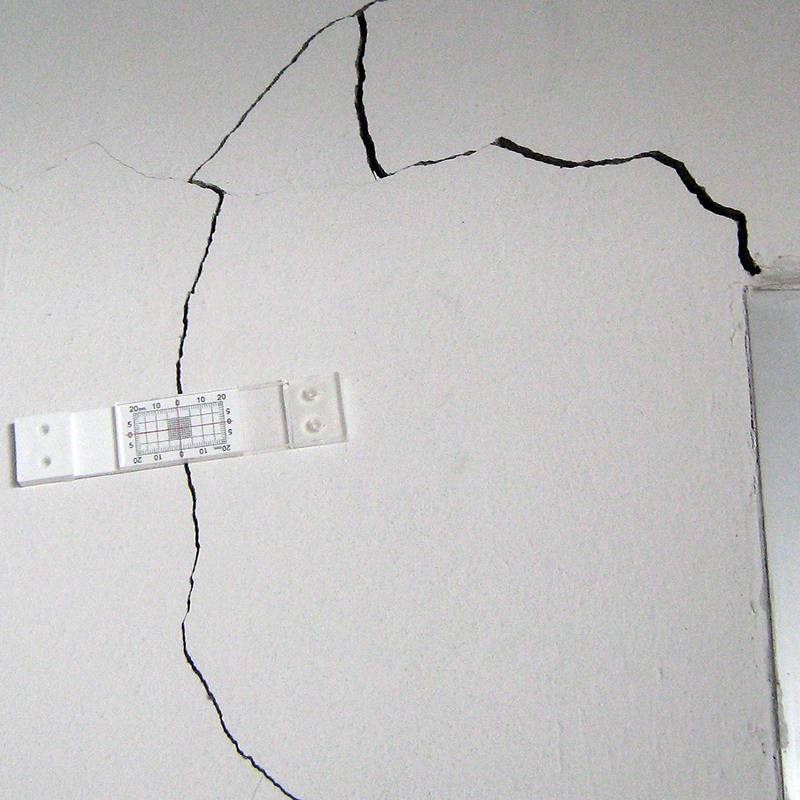 TAMCO continued to monitor cracks every two-to-three months through April 2009 for changes in X-Y displacement, noting changes in crack width over time. Placing the Buildera CRACKMON® 2D across strategically located cracks, TAMCO engineers were able to determine whether settling had stabilized at the Shell building, paving way for specific engineering recommendations. 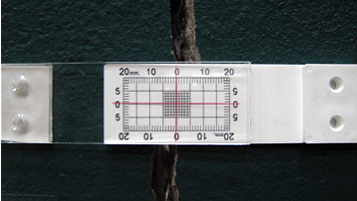 After six months of monitoring, engineers observed only minor changes in crack width (typically less than 0.5 mm), indicating that foundation settlement had stabilized. TAMCO recommended epoxy injection for cracks to prevent moisture from corroding reinforcing steel. To ensure the most reliable installation, it is important to thoroughly remove loose debris or plaster, and scarify the mounting surface to a solid substrate beyond any paint or coating. In one instance, TAMCO engineers discovered that a crack monitor had become loose after installation. If the wall substrate or surface finish is damp or deteriorating at the time of installation, structural epoxy alone may fail, causing the crack monitor to loosen or fall off. Moreover, high-traffic areas subject to physical contact or vandalism, require extra countermeasures. For best results, Buildera recommends tamper-resistant pan-head stainless-steel fasteners (security Torx® or similar) and ALLIGATOR® A5/AF5 concrete anchors to optimally secure the CRACKMON® . Combining structural epoxy with mechanical fasteners is the most secure mounting method. Tusanee states, "A crack meter is a great way to monitor crack movement versus time, especially when the maintenance and repair budget is limited. The CRACKMON® is cost-effective, reusable, and is a recommended practice for studying crack behavior." With the Shell project serving as a good use-case for crack monitoring, TAMCO continues to deploy Buildera CRACKMON® technology for new projects that require cost-effective crack monitoring solutions. This positions TAMCO to serve its clients with affordable crack monitoring solutions for critical structural assets. TAMCO is a member of the Council of Engineers (COE) of Thailand. Buildera is grateful to Dr. Tondee and her TAMCO colleagues for their technical support of this case study and for providing critical project information and photographs. "Buildera CRACKMON® Crack Monitor." Installation Guide and Engineering Specifications CM-IG-90200-00002EN Ver 1.6. Buildera, 23 Sep 2014. Printed. Photos ©2008-2014 TAMCO, reproduced with permission.